Sanex dermo sensitive shower gel 1000ml. This is one of my favourite shower gels. As I have a sensitive skin I can’t use perfumed shower gels all the time because my skin can get dry quite dry. This shower gel cleans me fully, keeping me nice and clean. Soap and Glory body wash 500 ml in Foam Call. 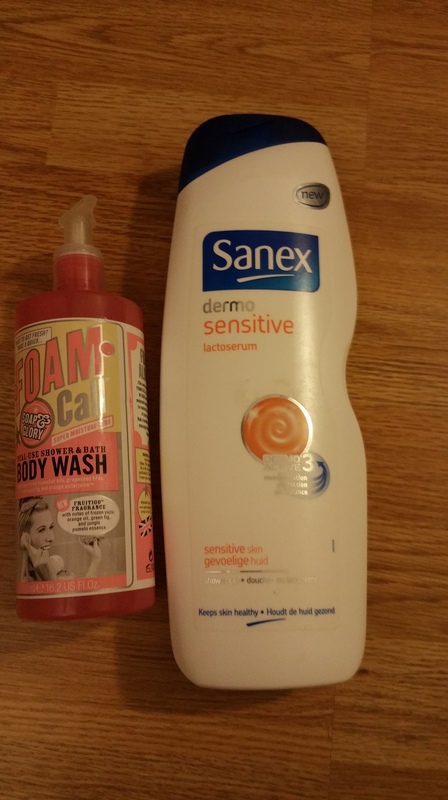 When I am feeling naughty and want to use a body wash with perfume I love using a Soap and Glory shower wash.. This wash smells really fruity. I love this body wash and I would definitely repurchase this product. Prodent sensitive Fresh Gel. Last month I wrote about another toothpaste I finished in the month of January. Compared to the other toothpaste I prefer this one. 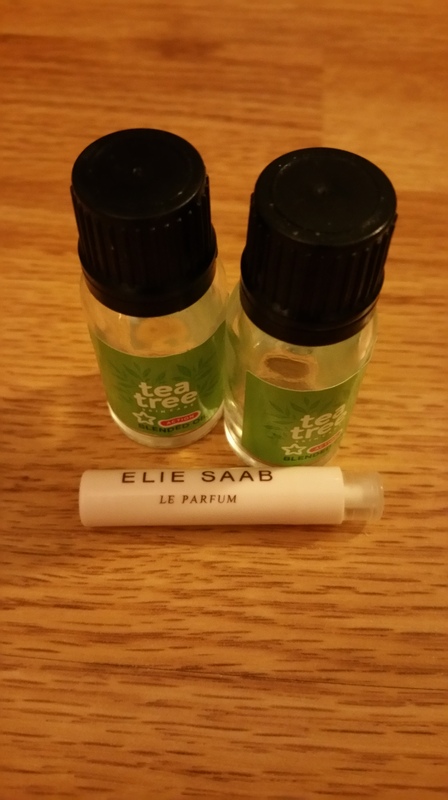 Elie Saab sample in Echantillion. The smell was nice but I would not purchase this perfume. It was not a must have for me. Phil Smith Argan Oil 50 ml (sample size). 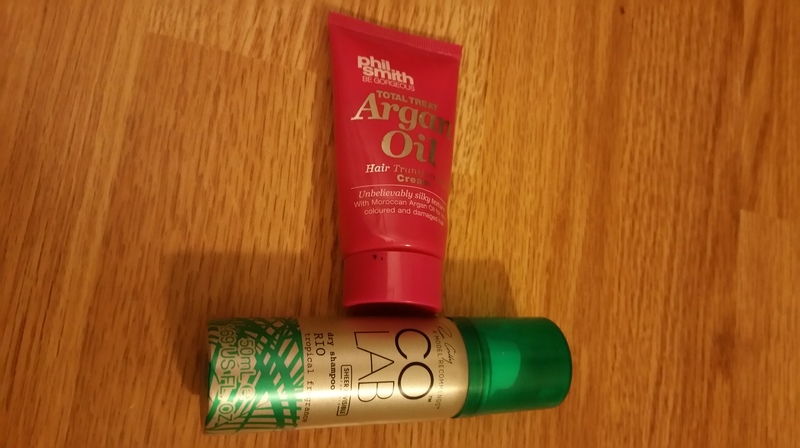 I really liked this product as this product was able to tame my wild hair. Co lab dry shampoo in Tokyo. Compared to the Batist dry shampoo I did not get the feeling it did give my hair a cleaner look. It seemed to make my hair look greasier. I would not repurchase this product. The smell was really good though. Oval removal cosmetic pads (Primark). Nice and big pad to get rid of all the gunk of my face. Also very affordable product. Tea tree oil (Super Drug). Need I say more. Love this product. Catrice Baby Doll Mascara in black. Don’t like this product but already ranted on this product. 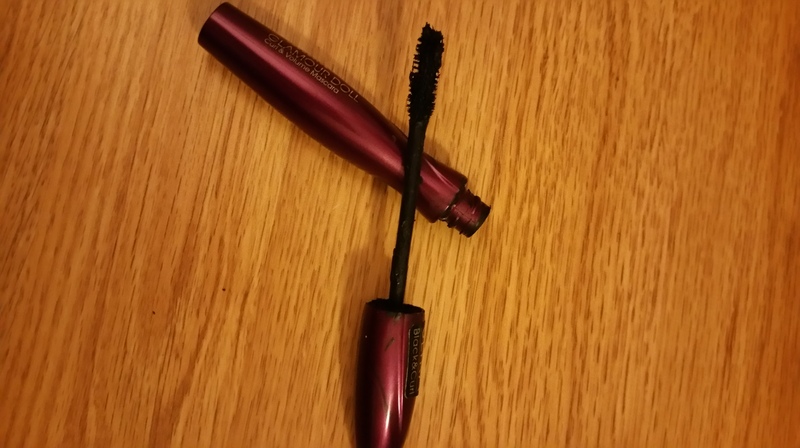 Boots 07 Extreme length Mascara mini. I was surprised I really liked this product. It lengthened my lashes and gave a natural look. I would repurchase this product. You can read I have been finishing a lot of shower gels. Mind you I did not use all these gels in the month of February all though I do like smelling clean and yummy. I hope you all liked rummaging through my bag of empties and I hope you all had a cracking February. Have not yet used theire moisturiser yet. But am a fan of Soap and Glory☺. I wish I could just purchase them in Holland. Unfortunately no😢. Very sad here. That’s why when I am in England I purchase soap and Glory products like crazy. Ooo thanks for the tip on the body sprays.😄. Yesss I know hehe😀. Did that the last time hihi. Might do more damage next time though.